This report highlights the positive impact the NatWest International Sports Development Programme has upon our future players and our current players of today. Additionally, the report illustrates how the funding was utilised and what Falkland Islands Badminton did to try to make the coaching visits enjoyable for all parties. We accomplished coaching various age ranges and abilities as well as ensuring the Performance Squad players gained valuable training in preparations for Gibraltar 2019. Falkland Islands Badminton wishes to thank the NatWest International Sports Development Programme on behalf of all those who participated in the coaching. The Falkland Islands are an archipelago of 778 islands with a land mass 4,700 square miles (half the size of Wales), with a population of 3500 people. 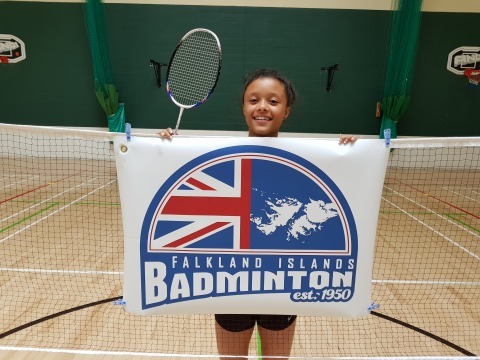 The Falklands Islands Badminton players have been participating in the Games since 1993 and the performances and results are improving all the time and the welcomed grant of £2000 helps to bring valuable coaching expertise down to the Falklands to assist in the development of our players in their chosen sport. Richie Eaton has been the Falklands Islands Badminton International Coach since 2014 post Glasgow Commonwealth Games and has coached the Falklands Badminton Team in Jersey 2015 and the Gotland 2017 Games and most recently the Gold Coast Commonwealth Games. Richie has assisted in instilling a professional approach for our amateur badminton players within our Performance Squad to aid their development and enhance performance. The visit was booked for 6th – 22nd December 2018 but due to unforeseen circumstances the flight was delayed 24hrs cutting short the Training Camp and subsequent outings but this did not detract from the quality and quantity of coaching. The Performance Squad managed to attend 35 hours of training in 13 days with the main focus on doubles play and their roles and responsibilities, various technical sessions with footwork and racket skills which were well received and attended. Richie was amazed at the focus and attention the players trained with and we saw visible signs of improvement with all Performance Squad players. There were also one-to-one sessions laid on for the players which focused more on what the player desired to improve upon. The schools were closing for Christmas break on the Friday 14th December but we managed to coach approximately 60 kids from the Infant and Junior School and 20 GCSE PE kids. Ten Falklands Badminton Club members not involved in the Performance Squad were coached by Richie over a couple of sessions which was well received by all involved and encouraged them all to look for improvements going forward. I would like to say huge thanks again for all your support.